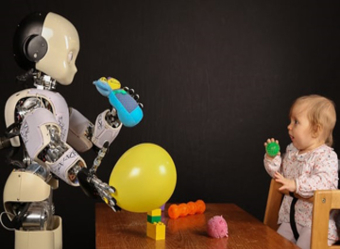 1- Prof. Mohamed Chetouani – University of Pierre and Marie Curie (UPMC) – France (Modeling Interpersonal Interaction: Insights from Developmental Psychology, Social Signal Processing and Social Robotics) – [PDF]. 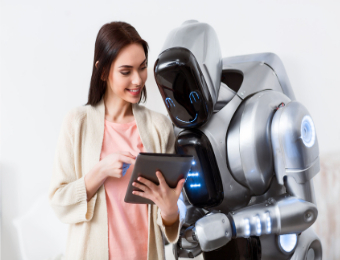 2- Alicja Wasik et al., – Ecole Polytechnique Fédérale de Lausanne (EPFL) – Switzerland (An Institutional Robotics Approach to the Design of Socially Aware Multi-Robot Behaviors) – [PDF]. 3- Matthias Kerzel et al., – University of Hamburg – Germany (Effect of a Humanoid’s Active Role during Learning with Embodied Dialogue System) – [PDF]. 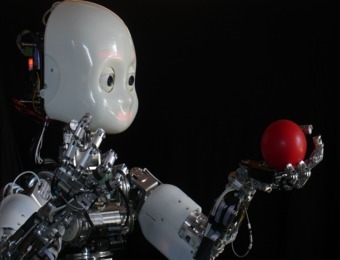 4- Emmanuel Dumont et al., – University of Pierre and Marie Curie (UPMC) – France (An Ontology-Based Approach for Robot and Ambient System Collaboration) – [PDF].